Emily’s passion as an interior designer comes through in an energetic, fun and down to earth way. Having been the catalyst for creative interior design in some of Kansas City’s finest homes for over the last twenty years, she prides herself on being able to work with all types of home decor and budgets. Emily’s focus is on personalization. Whether you are interested in custom curtains, sustainable interior design or just some basic interior design help, she is the interior decorator for you. Let her help you to have the home of your dreams. Stick to paint colors in the beige or gray family especially on the first floor, where flow is important.. Neutral wallcoverings give you the greatest interior decorating flexibility, allowing you to easily switch up your accessories. 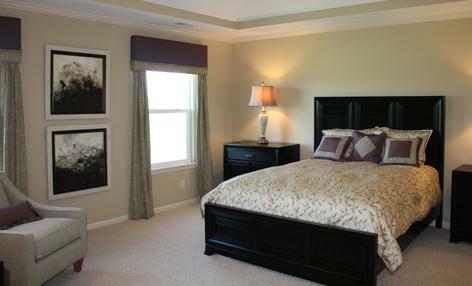 And if you have two small rooms next to each other, painting them the same neutral color helps them feel larger. Look at a paint strip and move up or down a shade or two for a subtle variation from room to room. Evaluation of current colors, design, furniture placement, lighting and accessories. Review of what needs to be replaced or added. Recommendation for future purchases and changes. At the end of the session you will have the design overview for your project with a written list of recommendations tailored to your needs. "Emily is a decorating extraordinaire!! She worked with me in picking out fabric for my home, helped with room arrangements and coordinated all efforts in window coverings. When my husband moved to a new office we called Emily again to help pick out the paint,carpet, and sideboard color pattern."